Even toilets can be crowdfunded. For many children in India, just going to the toilet can be dangerous. In a country where 626 million people practice open defecation, even a single episode of moderate to severe diarrhea could have lasting consequences for a young child. It could inhibit their growth and development and, in the worst cases, cause death as diarrhea is the third leading cause of child mortality. 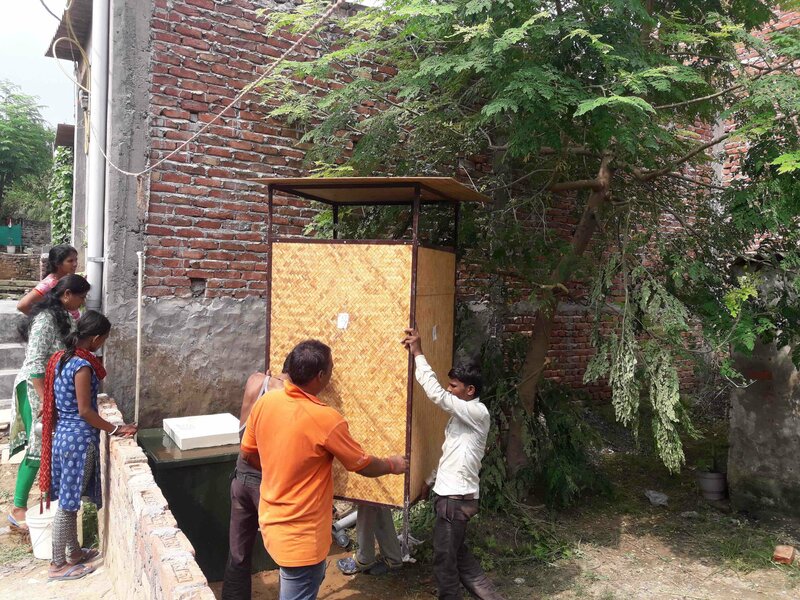 But an organization called ARCHIVE Global has found a way to bring a better sanitation solution to some small homes in New Delhi. ARCHIVE Global's unique toilet design requires no septic tank, making it easier to install and maintain than other traditional designs. The organization has started raising funds for its project on CaringCrowd®, a crowdfunding platform for health projects that is proudly sponsored by Johnson & Johnson. What could have been just another good idea, is becoming a reality through ARCHIVE Global and the CaringCrowd® platform because ARCHIVE Global now has the funds to ensure that their new three-filter toilet system, which contains special enzymes to break down waste, will actually reach the families who most need it. The enclosed toilet is easy to install and requires no water, except to clean the bowl as part of ongoing maintenance. It generates only a small amount of non-toxic fluid and lasts for 10 to 15 years, says Alexandra Davis, who worked on the project. ARCHIVE Global, which stands for Architecture for Health in Vulnerable Environments, along with its two partners, 3X3 Design (in New York and New Delhi) and Greha (in New Delhi), first received a grant from private housing foundation SELAVIP to build 55 toilets as a pilot project. Families with children under the age of five were selected for this project. But the organization needed more money to pay for the training of the families and to cover additional installation costs. Harnessing the power of the CaringCrowd® platform gave them a way to do this. On March 31, a total of $10,112 was raised, exceeding the goal of $10,000, with matching funds from Johnson & Johnson. With only a small donor base, the organization had traditionally relied on grants, but funding for this project came from far and wide through the platform. “This was also the first campaign that enabled us to mobilize all our supporters who come to our events — often people from architectural firms, or those motivated by public health campaigns,” Davis said. But introducing sanitation is not just about putting in toilets where there were none. 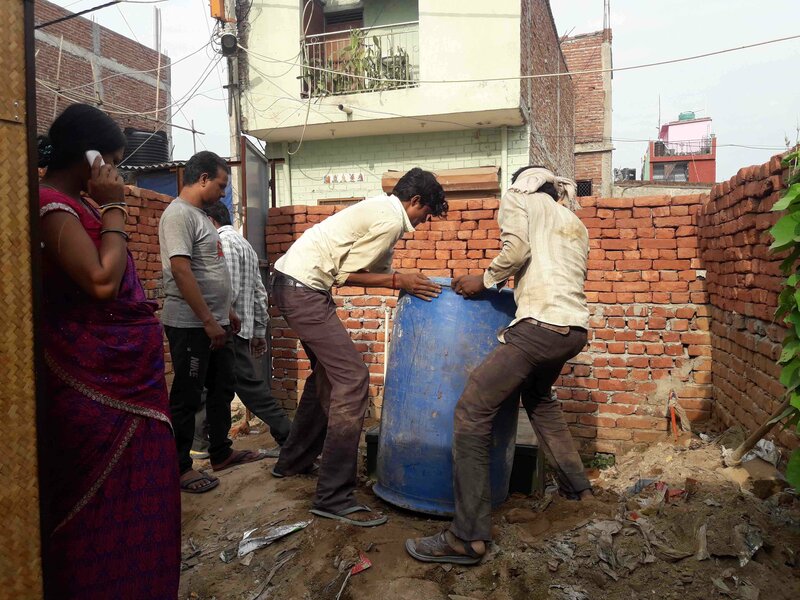 It’s a complex process that requires community buy-in and training on the benefits of ending open defecation in favor of properly using sanitation facilities. Although most of the families were very excited at the prospect of getting a toilet, there was some resistance from those unsure of what their impact would be. 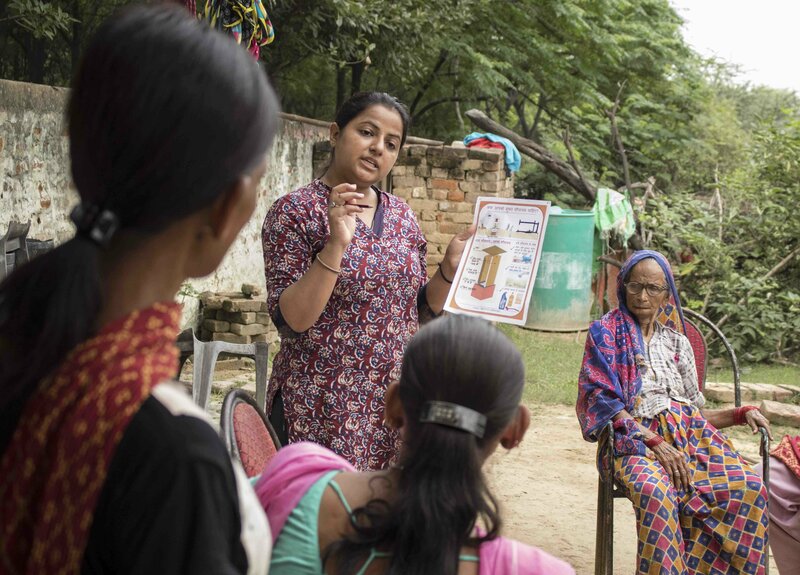 “For many women, open defecation is dangerous, and they soon realized that having a toilet inside their home could be life changing,” Davis says, emphasizing the importance of the education component of the project. So far, the project has progressed well and the community is keen for more toilets. A total of 45 have been built, with the community’s own labor, and the race to get the final 10 installed before monsoon season sets in is on. Davis said she would highly recommend CaringCrowd® to other organizations. It’s an ideal platform for projects with a small donor base or for those wanting to broaden their initiatives to reach more people, she says. It also gives supporters from all over the world the opportunity to contribute funds. Project owners who want to put their projects on the platform will get step-by-step instructions on how to do so. Projects are posted after an independent panel of experts gives the go-ahead. And creative graphics on the platform let audiences know in real-time how close to funding targets the projects have gotten.